Parliament comprises the National Assembly and the Senate. It passes statutes and votes on the budget; it controls the action of the executive through formal questioning on the floor of the houses of Parliament and by establishing commissions of inquiry. The constitutionality of the statutes is checked by the Constitutional Council, members of which are appointed by the President of the Republic, the President of the National Assembly, and the President of the Senate. Former presidents of the Republic also are members of the Council. The independent judiciary is based upon civil law system which evolved from the Napoleonic codes. 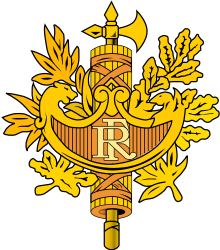 It is divided into the judicial branch (dealing with civil law and criminal law) and the administrative branch (dealing with appeals against executive decisions), each with their own independent supreme court of appeal: the Court of Cassation for the judicial courts and the Conseil d'Etat for the administrative courts. The French government includes various bodies that check abuses of power and independent agencies. France was a founding member of the European Coal and Steel Community, later the European Union. As such, France has transferred part of its sovereignty to European institutions, as provided by its constitution. The French government therefore has to abide by European treaties, directives and regulations. The Economist Intelligence Unit has described France as a "flawed democracy" in 2018. 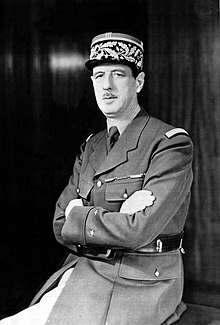 Gaullism (French: gaullisme) is a French political ideology based on the thought and action of former president Charles de Gaulle. The main doctrinal component of Gaullism is a desire for France's independence from foreign power, but there are also social and economic components in some forms of the philosophy. The main theme of de Gaulle's foreign policy was of national independence, with, as some practical consequences, some degree of opposition to international organizations such as NATO or the European Economic Community. The basic tenets were that France should not have to rely on any foreign country for its survival (thus the creation of the French nuclear deterrent) and that France should refuse subservience to any foreign power, be it the United States or the Soviet Union. One may also cite social conservatism, and economic dirigisme and volontarisme as parts of the Gaullist ideology, but these are not necessarily accepted by all who called themselves Gaullists. Gaullism is generally considered a right-wing ideology, but there have also been left-wing Gaullists, the differences between the two consisting of differing social and economic policies. Alain Marie Juppé (born 15 August 1945) is a French politician, who was Prime Minister of France from 1995 to 1997. In December 2004 Juppé was convicted of mishandling public funds; since then, his political career was suspended until he was re-elected mayor of Bordeaux in October 2006. He was most recently the French minister of State, as well as Energy, Ecology and Sustainable Development. He resigned in June 2007 after failing in his bid to be re-elected in the 2007 legislative elections but remains mayor of Bordeaux.